Strewth! 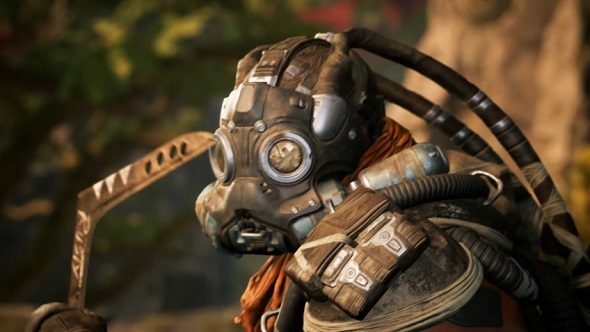 The newest addition to Paragon’s roster of heroes is Drongo, a scrap-merchant with a love for heavy metal and explosives. Driven slightly mad by constant exposure to toxic fumes, you don’t want this mechanic doing your car’s MOT. Find the MOBA that’s right for you with our extensive MOBA guide. As a potent ranged attacker, Drongo can quickly switch between crowd control and focusing on a single target. His Rad Rounds have him loading his revolver with uranium-tipped bullets, which apply the Irradiated debuff on hit. Enemies take basic damage while Irradiated, with Drongo refreshing the debuff every time he lands a shot. His Q is Gag Grenade, which sees Drongo chucking a toxic gas grenade at a targeted location. Upon exploding, the grenade releases a cloud of gas which silences any enemies that step inside it. A well-timed Gag Grenade can shut down your opponent’s escape options and allow you to pile on the pressure. If his name and obvious Mad Max inspiration haven’t given it away, Drongo is a massive Aussie stereotype. To hammer the point home even more, Drongo’s alt fire has him throwing out his trusty boomerang, named Old Rusty. It slows enemies on hit and, yes, it does indeed come back. His ultimate ability is Shrapnel Cannon, which has him firing a giant cone of shrapnel from his bazooka. The blast is so massive that Drongo flies backwards when activating this ability, allowing him to escape a sticky situation. Any enemy hit by the shrapnel will have their armour shredded for the next eight seconds, making them easy pickings for anyone in range. Drongo is available to play right now and you can check out all of the accompanying patch notes over on Paragon’s official website.